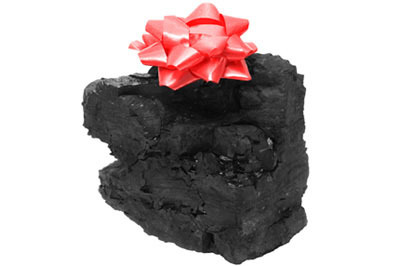 This Christmas, I’m really looking forward to getting a piece of coal. You see, I’ve been kinda good the whole year, right, so I at least deserve something that I might want. Coal is honestly the best thing ever. It’s basically diamond, and technically contains the basis for all life. I find it kinda dumb that Santa would give such a treasure to bad kids and toxic plastic to all the innocent little 6 year olds. If that doesn’t show our society I don’t know what does. Like last year, I received a pink plastic pony for Christmas and NOT a piece of coal like I asked, yet my trouble-making sibling got the coal block. That is serious favoritism if I’ve ever seen it. But you know what, Christmas is a time to be happy and give to others. I personally think it is extremely kind that naughty children have been given the gift of ‘the building blocks of life’ in its purest form, giving them insight into science and their own potential. Carbon has amazing abilities to absorb toxins and connect molecules together – that kind of connection and strong, natural support is what can really help turn someone’s life around.